ARGH!!! I use Office 2007, and though Microsoft has since moved on with 2010 I work with a lot of non-profits who are using donated, refurbished computers and whatever software they can find. But just because you don’t have cash, doesn’t mean you have to live in the stone age! NOTE: These solutions are free & cool, and you’ll find them online, but you will need the authority & technical requirements to download & install them. Update to Service Pack 3 here. 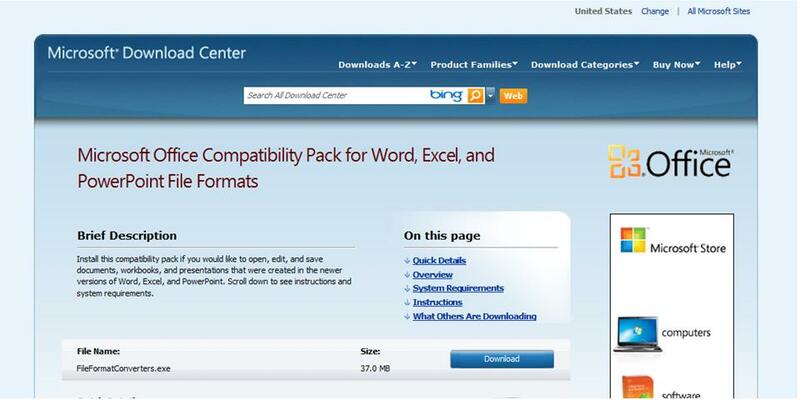 Next, download & install the compatibility pack. 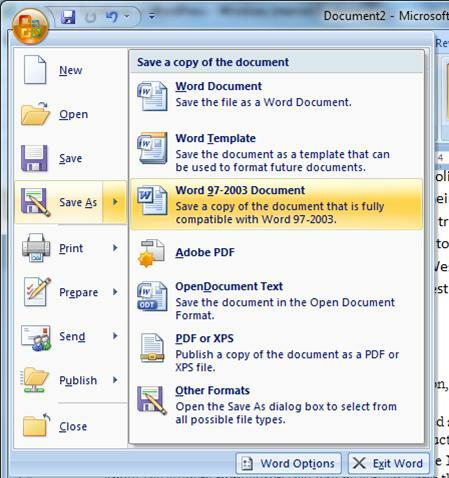 “Publish” your document as a PDF: File > Save As > PDF or XPS. If you just want to share and others don’t need to edit, this may be your best option for maximum opens. Having trouble opening a PDF file? Download the FREE Adobe Acrobat Reader.